It’s time for school to slowly start up again after a long summer filled with play and games. That can be a testing time for some. So in order to redirect the focus back to schoolwork we’ve collected five tips that can help your child with getting back into their schoolwork again. 1. Help your child understand the subject:: Sit down together and look at your child’s school books. 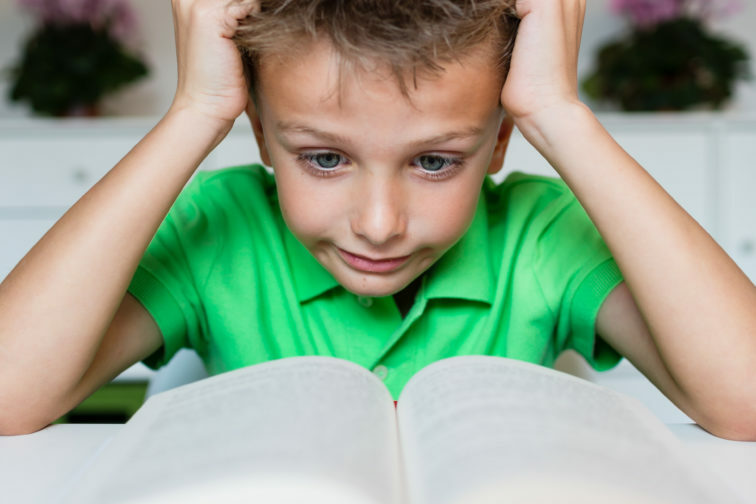 You are the more experienced reader, and your child is not. Ask questions about the text that your child can answer. That may help him or her with focusing on the right parts of the text. If you skim fact-boxes, headlines and indexes together, the child will get a better understand of what he/she needs to read and learn. One of the ways you can help your child become a more motivated reader, is by acting as a rolemodel and showing that reading can be something enjoyable too. 2. If you childs eyes keep jumping back in the text, then place a bookmark on the text already read and push it down over the page as you progress. This prevents you getting distracted by things you have already gone past. Avoid using your finger – if you place your finger on the text you focus the attention towards whatever you are pointing at, and that prevents you from reading bigger chunks of text at a time. 3. Promote good reading habits: If you sit and read and it shows that you enjoy it, then your children may be encouraged to read more outside of school themselves. A cosy afternoon or evening spent on the couch with a cup of tea and a good book can easily be something done together. And you do not necessarily need to talk together and create noise just because you are in the same room. Sometimes it can be just as giving to enjoy a quiet moment together with your noses buried in different books. 4. Maintain a decent flow: Reading slowly is not the same as reading thorougly. Many people lower their reading speed for no good reason when they need to read something “thoroughly”. But that just makes you read in short jerking movements that disconnects you from the text and its content, and there’s no reason to do that at all. 5. Take breaks: We remember what we read best by keeping our reading sessions down to 20-40 minutes at a time. So remember to let your child take a break when he/she needs it. If you want more tips on how you can improve your own or your childs reading habits? 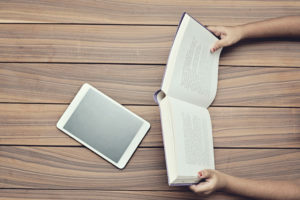 Visit our blog and read about other topics, like what expectation we have to an unknown text or what challenges to expect as an adult reader.